Often you want to look behind the Acrolinx Score and figure out what your particular challenges are. Is it spelling or voice? The new Category Scores dashboard answers this question and gives you an overview of how much of your content falls into which range. 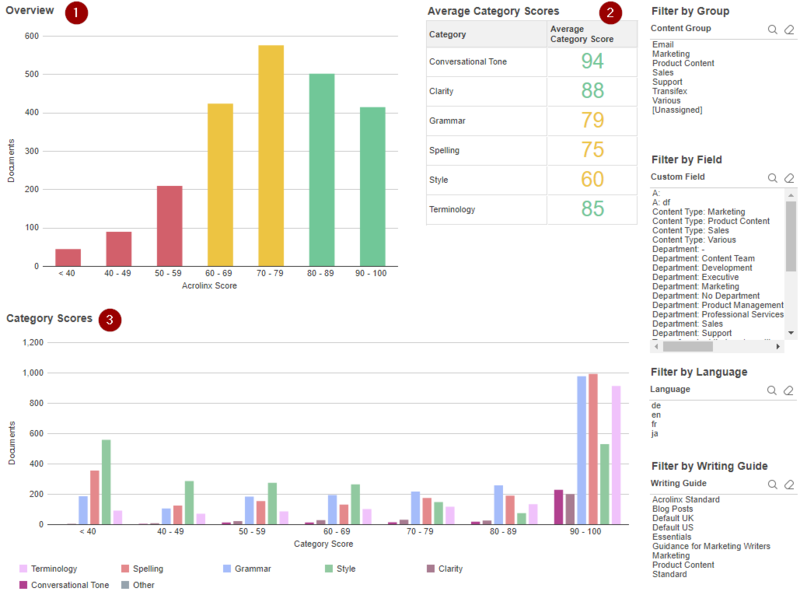 Overview View the Acrolinx Scores of your checked content. You might want to review documents that score a red and yellow. Average Category Scores See the average category score of each category. Category Scores See how the Scores are distributed per category. For example, you can see how Style scored compared to Conversational Tone .